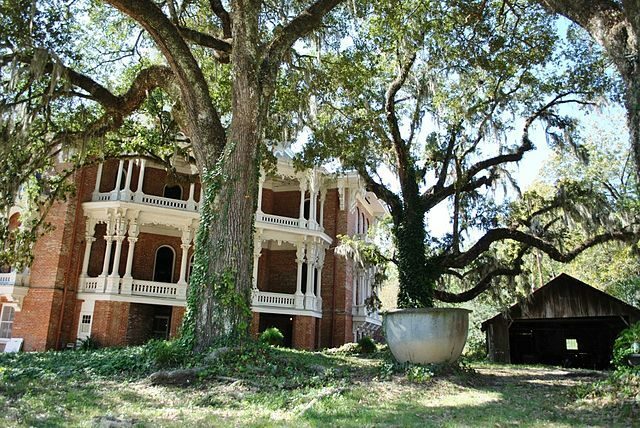 A beautiful antebellum mansion hidden behind a few old and lush trees, and probably many stories that silently dwell in and around this precious piece of architecture. 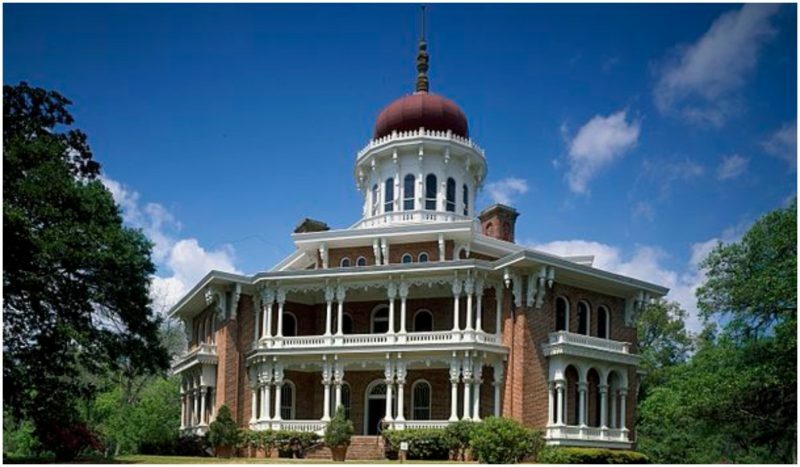 These are without doubt the first impressions that come to mind after the quick look at the monumental house known as Longwood, located on a hillside in the city of Natchez, Mississippi, near the border with Louisiana. 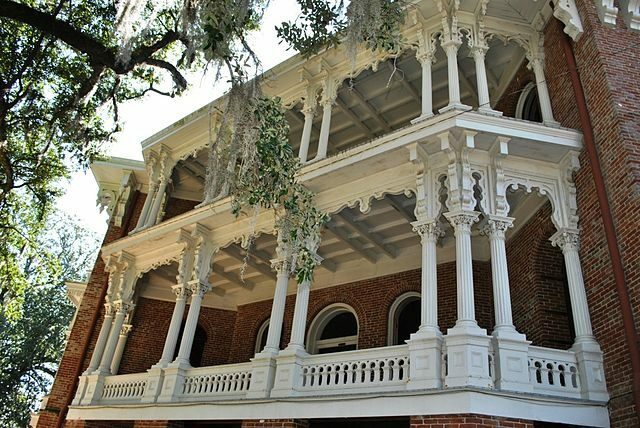 But this remarkable structure, which proudly possesses the unofficial title as the largest octagonal shaped house in the U.S.A., and possibly in the world, is only an empty shell. Behind the fabulous “curtains” made of white balconies and red bricks, there is literally nothing, expect a heartbreaking story. 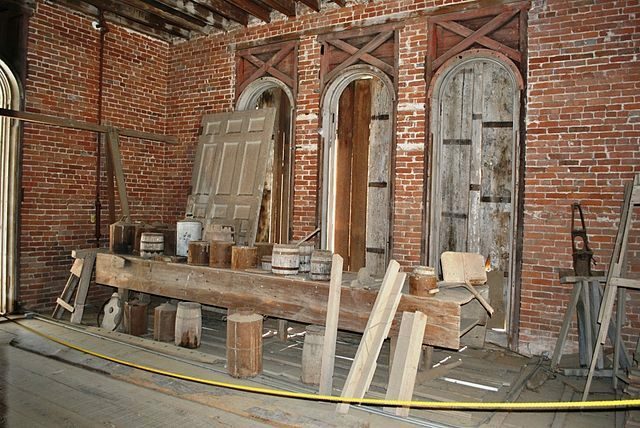 While the mansion has a glamorous exterior, its interior was never completely finished. Construction of the house started in 1858 by the extremely rich owner of several cotton plantations, Dr. Haller Nutt, on land bought as a gift for his wife. He had a lot of money and decided to build a true architectural miracle–a house for his big family, but also a structure which would portray his wealth and would be an object for admiration throughout the centuries. 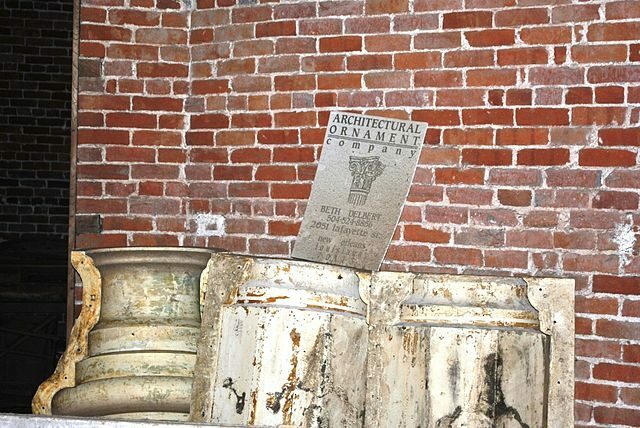 Historical documents from the era show that more than a million bricks were used for the construction. 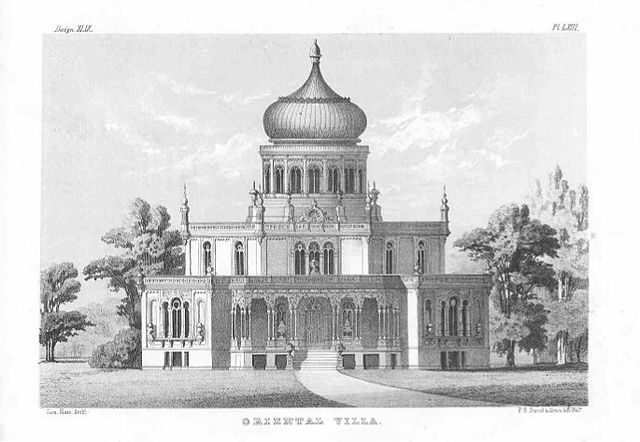 The exotic oriental design of the house with the characteristic domed cupola on the top, which was popular for those days, was made by the famed architect Samuel Sloan from Philadelphia. But, because the house was never finished, later it became known as Nutt’s Folly. The American Civil War stopped development of the enthusiastic project in its tracks. 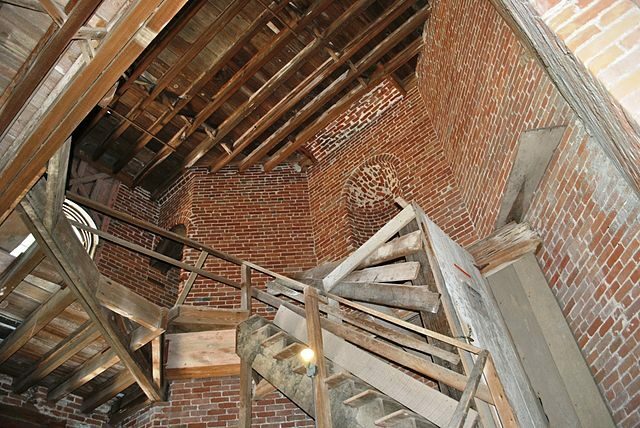 Only the basement was fully completed before the Pennsylvanian architect and his workers and craftsmen left to join the Union army and to fight for their ideals. The family suffered great financial losses during the war. Dr. Nutt had much of his wealth stolen and his lands burned, leaving the family unable to find the money to finish the building work on the main floor and the two floors above. This tragedy took away his health immediately. After realizing that his broken dream wouldn’t be finished during his lifetime, the once ambitious owner died in sadness, in 1864. Some sources say that he died from pneumonia and others that he died of a heart attack. This only worsened the already bad situation of his family. His wife, Julia, and their eight children lived there until her death in 1897. 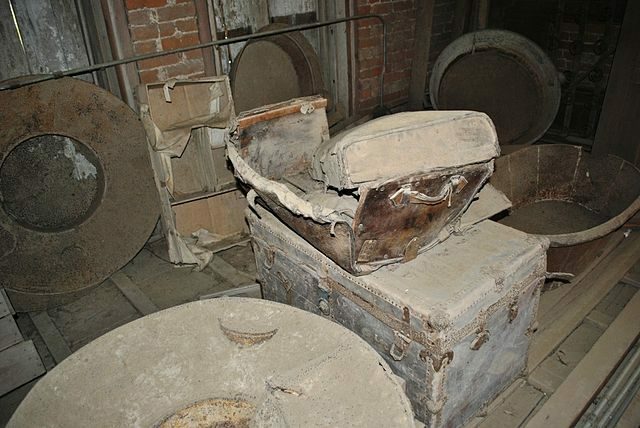 They used mainly the basement as their living space, because this part of the mansion provided the necessary conditions and safety for a normal life. After decades of struggling to maintain the mansion, they left their unfinished home for good at the end of the 19th century. After years of decaying and complete abandonment, Nutt’s decedents donated the property to the Pilgrimage Garden Club in 1970, who preserved it and today manage the mansion as a museum and historic site. Now it seems like the whole scene is frozen in time. 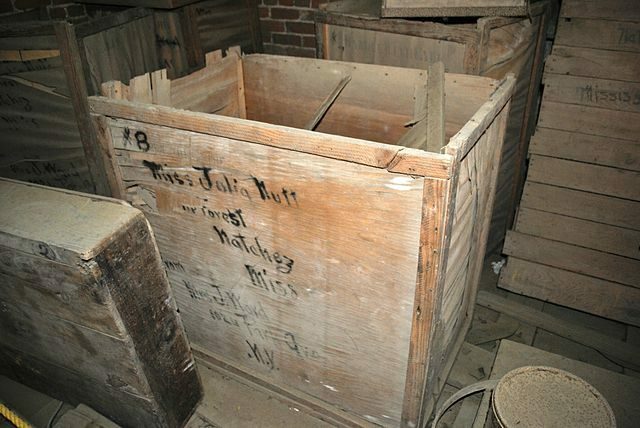 Today in the basement can be found the original furniture from the family, as well empty luggage and wooden packing crates. On the unfinished floors, tools, materials and paint buckets still lay scattered around, left by the workers at the dawn of the Civil War. 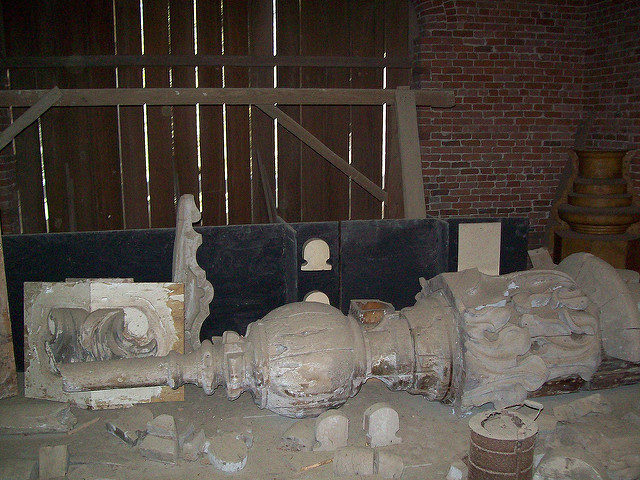 Also parts of columns lie down on the floor, waiting for their workers who never returned. The entrance to the basement was from the back of the house. Just near the entrance is located the carriage house and a few other outbuildings, like the kitchen and the servant house for 32 servants. The family cemeteries are located near the mansion too, where Nutt and his wife are buried. Also one respected and loyal servant is buried in the same cemetery. It is believed that the ghosts of Dr. Nutt and his wife haunt the mansion. It was reported that the ghost of Mr. Nutt was several times seen in the garden and the ghost of Mrs. Nutt on the staircase. It is also said that when the ghost of Julia wanders around it smells of roses, even in middle of a winter. But knowing the fact that Julia had a passion for roses and maintained huge rose gardens with hundreds of different varieties of roses, this could well be a product of people’s imagination. Or is it…? 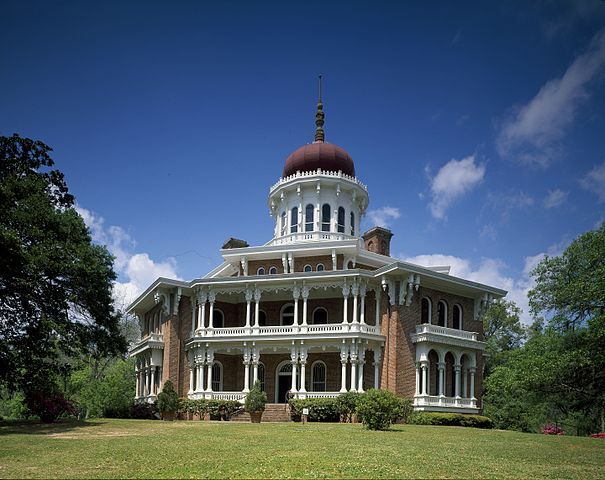 This oriental villa very vividly depicts the rise and the fall of the South of the U.S. Also the ghostly atmosphere made it a perfect location for the popular series True blood; in 2010 the mansion was used as the castle of the vampire king of Mississippi and Louisiana.